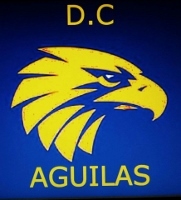 The CAFL season in South America continued on the weekend with the DC Aguilas up against the Bogotá Bombers. In a great game, and a showcase of what Australian Football is all about, the Aguilas held on in a classic. Paddy Smallwood from the CAFL (Colombian Australian Football League) shared the details of the clash, set against a grey and damp Bogotá backdrop. After just two games of the CAFL season in Bogotá, Colombia, the Bogotá Bullants have already announced themselves as the team to beat. 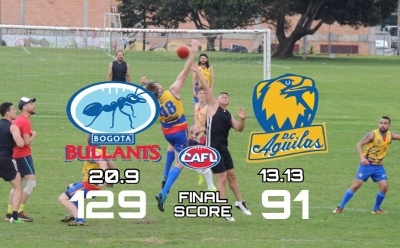 Whilst the pre-season drafting has certainly made the three -team competition competitive, it is already clear that the talent pool at the Bullants runs deep and it will take a big turnaround from the Bogotá Bombers and DC Aguilas to take down the Bullants. For three quarters the Bullants and Bombers were evenly matched. Scores were level at quarter-time and the Bullants led by just three points at the main beak. 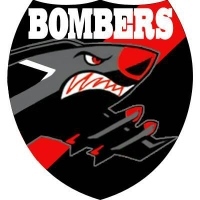 The Bombers won the final quarter. However, it was the third quarter where the inner Bullant was unleashed as they piled on seven goals to break the game open and set up victory by 30 points. History has been made in the Colombian capital city of Bogotá with the first match of the inaugural CAFL (Colombian Australian Football League) season being played last weekend. The growth of Australian Rules football in Colombia, South America, has been rapid in the past couple of years since the arrival of the Bogotá Bulldogs. 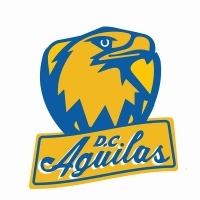 Last week that growth accelerated even faster when the club held its first ever draft of local players and created three teams in the Colombian capital – the Bogotá Bombers, Bogotá Bullants and DC Aguilas – for a local three-team competition. With a view to building three teams of reasonably equal standard, recruiters for the teams made selections based on both team needs as well as competitive fairness. The result is three new entities that will do battle across the year in a round-robin format of games (full details to be advised). 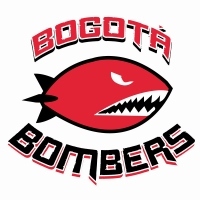 It was only late 2016 that the Bogotá Bulldogs became South America’s second permanent Australian Rules football team. In just a short time, the club has become the continent’s champion team, winning back-to-back Andes Cups against the Chilean footy stalwarts, the Santiago Saints. To some that might be seen as job done, but not the Bulldogs. Rather than be content with international titles, footy in Bogotá, Colombia, is about to have its first permanent league. South America's newest Australian Rules football team, the Bogotá Bulldogs, are gearing up for a huge 2018. As reigning champions of South America, they have twice won the Andes Cup against the Santiago Saints from Chile. They are now gearing up to go bigger and better for 2018, and their video is helping to spread that message. 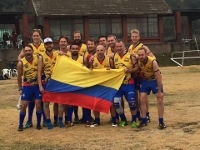 The champion Australian Rules football team in South America has been decided and the Bogota Bulldogs have managed to retain the Andes Cup and go back to back in their battle against the Santiago Saints from Chile. But the battle wasn’t all one way as the Saints pushed a wasteful Bulldogs all the way, going down by just 17 points in front of their home crowd. The final score saw the Bogota Bulldogs 9 15 69 defeat the Santiago Saints 8 4 52. For the Bulldogs the win cements them as the very real permanent team in South America to accompany the years of hard work put in place by the Santiago Saints crew in Chile. Whilst the Saints would no doubt be disappointed to lose, the game against the team from Colombia marks a huge leap forward for Chilean football as the local club now has a genuine international competitor. That will, in time, lead to greater opportunities in all spheres of the game on and off the field. South America is one massive continent. It absolutely dwarfs Australia in size – and Europe for that matter. The Andes Mountains which run the entire west coast of the continent run for around 7000 kilometres alone. The distance by road from Bogota in Colombia and Santiago in Chile is around 6000 kilometres. This is where the footy kicks in. On July 22nd the Bogota Bulldogs will travel that distance to Santiago for the final instalment of the Andes Cup for 2017 – though probably not by road. 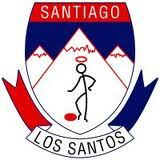 Australian Rules football in South America has long been championed by the Santiago Saints in Chile. They have remained the only permanent team for many years, crying out for company. With the arrival of the Bogota Bulldogs the game has a great chance to grow even further.